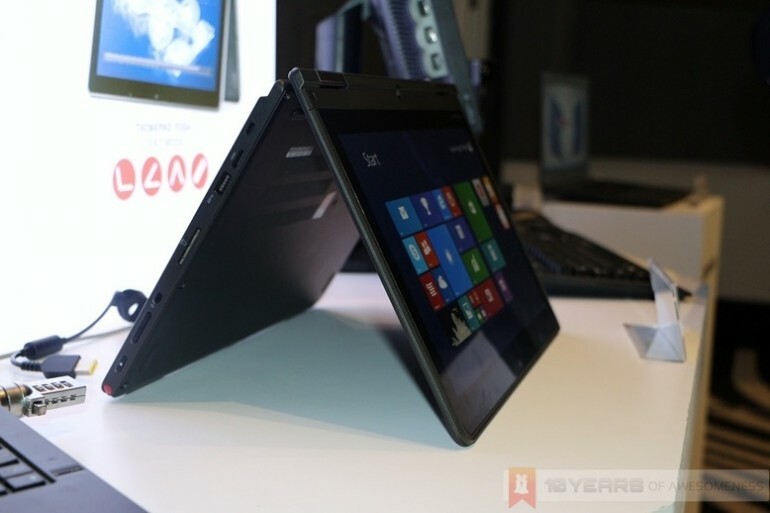 Lenovo’s ThinkPad Yoga is finally here. Announced back at IFA 2013 last September, the multi-mode Ultrabook was launched in Malaysia some weeks back and is now available in the country. As one of the more premium laptops in the market today, what does one get when buying a laptop with a retail price that starts from RM4600? Well…not much, really. But then again, this is a laptop with one of the most amazing build qualities I’ve come across. With its magnesium alloy chassis and classic ThinkPad durability, it isn’t surprising that this 1.57kg Ultrabook passes eight military durability standards. Check out our hands on video above for some quick first impressions, and stay tuned for a full review!